Simple App provides technical assistance for building state of the art IT products, mostly smartphone and tablet applications. Our field of expertise ranges from database design and webservice programming to smartphone and tablets applications. 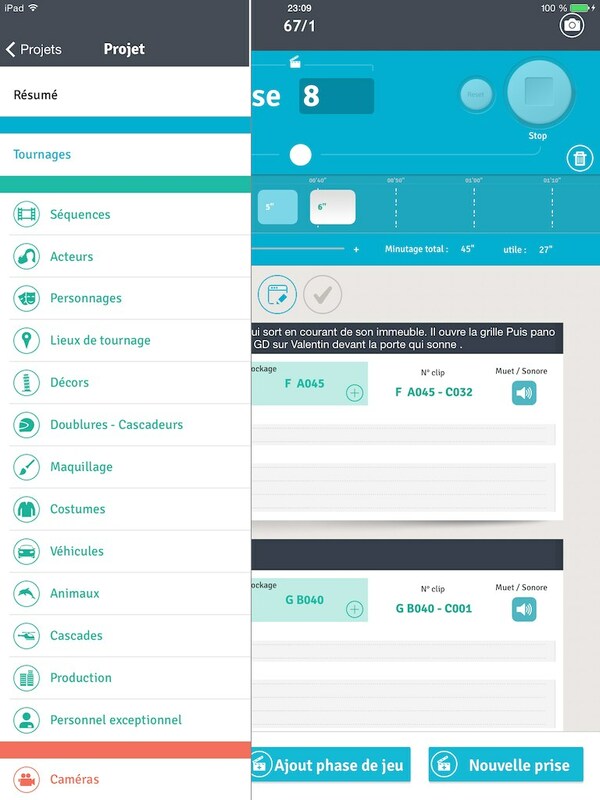 Scripte Evolution is a professional iPad application made for Scripts supervisors working in the french speaking movie industry. It lets people record movie and shooting information to later automatically produce all the reports for editors and producers. 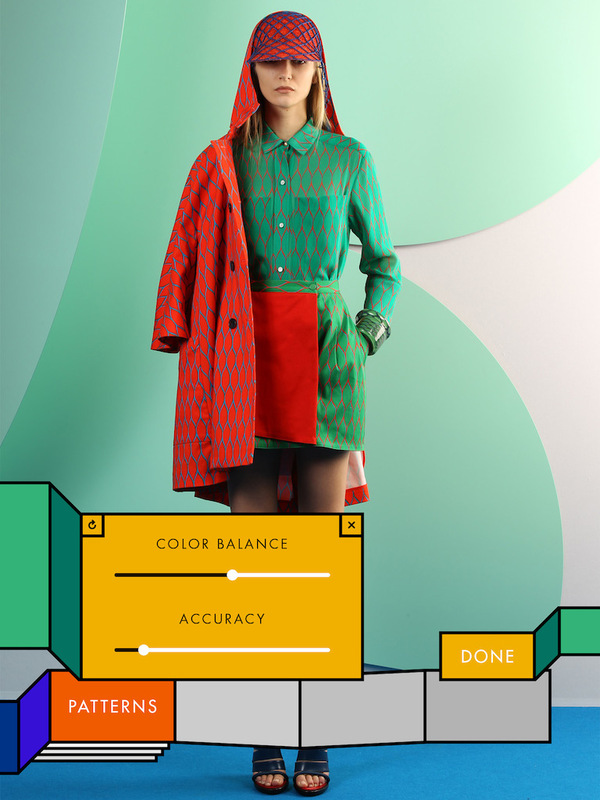 Kenzo Kameleon is an iPad native app used by Kenzo in its events to let customers play with the new clothes motifs designed by the prestigious Brand. People take a photo of themselves in front of a green screen with Kenzo clothes on and pick a motif matching the clothes to "disappear". 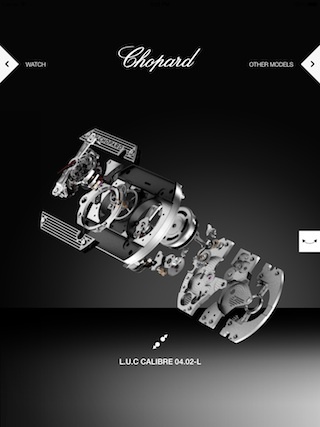 Chopard LUC iPad application presents two prestigious Chopard watches from the LUC collection. It provides details on the watch internals in an interactive manner, such as pinch to widen a movement éclatés and swipe to turn the watch 360. 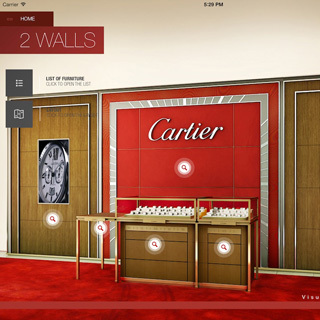 Cartier presentoir is an iPad application used by Cartier saleforce to present Cartier display stands and furnitures to Cartier Watch resellers. 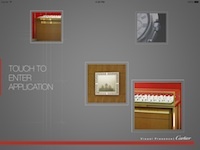 It show the furnitures in an interactive manner using swipe-to-turn 360 and pinch-to-zoom panoramas along with videos. Flipmylook is a young startup that created a virtual fitting room application for people to try new looks. Using a simple swipe gesture, users can change tops, pants, shoes very quickly and try different looks. SimpleApp was in charge of the development for the whole stack. 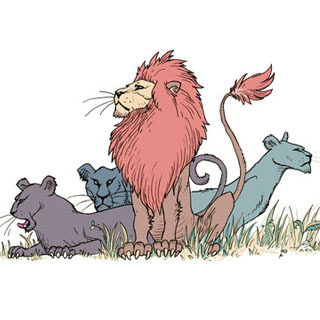 Myrtille & Framboise is a new digital publishing company focused on interactive stories for the iPad. 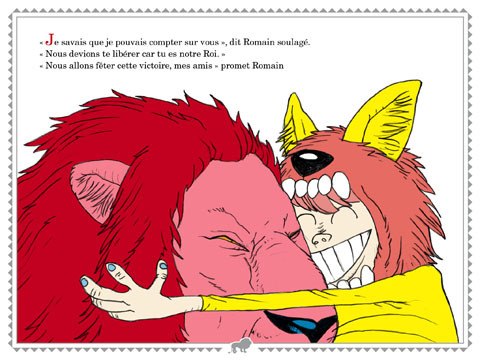 This short story is written by Anissa Sauvageon and illustrated by Poésies Industrielles famous drawers. The same Simple App proprietary book engine used in "Frog and Ox" book was used for this book. Easy serie for quick 2 to 5 minutes game sessions. Mostly targeting at people spending some time in the subway. Advanced serie for long 15 to 30 minutes game sessions. For those willing to spend a lot of time on a single puzzle. Classic serie containing all kind of levels from easy to advanced. For those who like a little bit of everything. Simple App also created a playable web preview of the game for the desktop at suushiki.com official website. 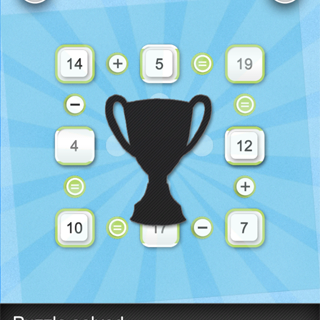 Puzzles are sampled from the Easy collection and change every day. 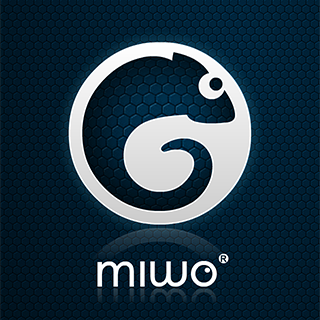 Miwo iPhone Application is a new breed of geolocation-based smartphone applications. It aims at providing additional and helpful content to your current location on your smartphone. From providing customer card indoors to broadcasting news over a geographical region, Miwo lets businesses reach customers wherever they are, whenever it's really useful. 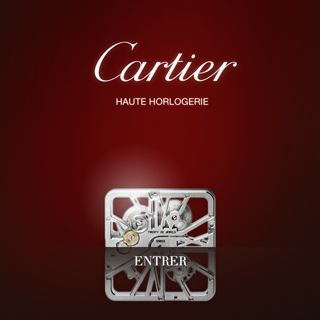 Cartier Haute Horlogerie is a prototype for an iPad product catalog that would be available to customers from within Cartier boutiques. Its very high graphic quality and interactivity would provide better product exposure and thus enhance the overall in-store customer experience. The challenge for this project was the very tight window of 8 days in which not only one, but two different prototypes were to be designed and created before it would be demonstrated to a wider audience. 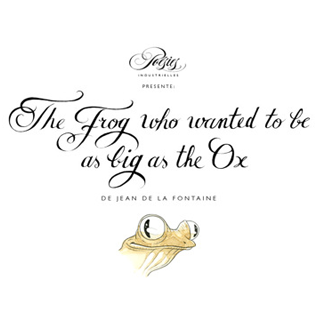 Frog and Ox Interactive Book is an adaptation of the "La Grenouille qui voulait se faire aussi grosse que le Boeuf" fable by Jean de la Fontaine. It explores the new story telling possibilities offered by the iPad while preserving the spirit of a piece of classic literature. 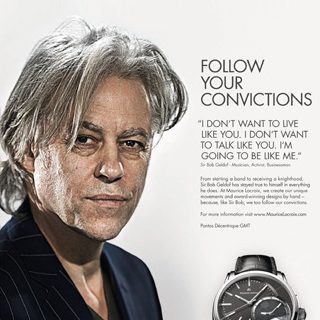 Maurice Lacroix watch catalog fast browsing. Enable offline browsing, yet dynamically updates from a web service whenever an internet connection is available, for always up-to-date information. Geolocation to find a retailer near you, or browse the map worldwide. 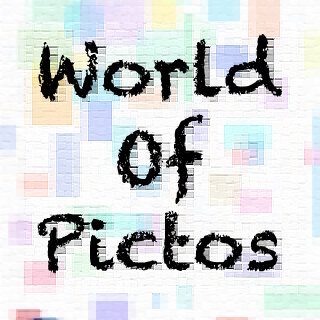 World Of Pictos is an experimental iPhone Application that lets users draw pictograms and place them at their current location on top of a shared map. The result may be a beautiful collective piece of art...or a gigantic mess.